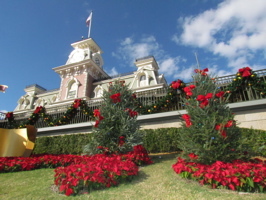 We spent Sunday at the Magic Kingdom, which is in the full swing of Christmas (below, left). 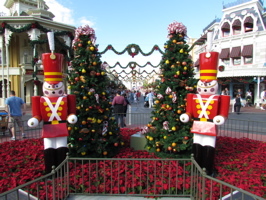 We previously showed you the Nutcracker soldiers in Town Square at night, here they are at their positions during the day (below, right). 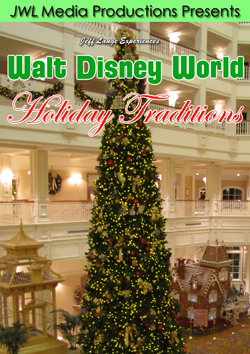 Please click HERE for our full coverage of this years edition of Mickey’s Very Merry Christmas Party. 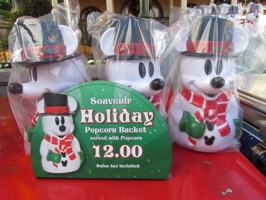 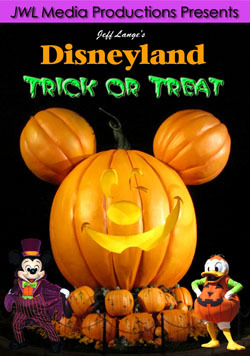 Mickey Mouse popcorn buckets are for sale again and available at all the parks (below, left), we really enjoy the one we purchased last year! 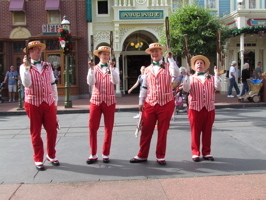 The Dapper Dans are now wearing their holiday outfits (below, right). 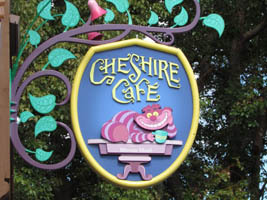 The Enchanted Grove is now the Chesire Cafe (below left and right), complete with the Chesire Cat grinning from the signs. 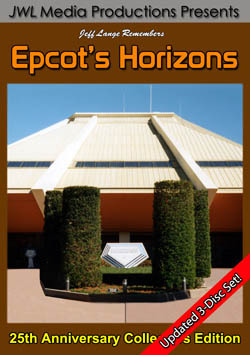 The menu appears to be the same with some of the prices slightly higher on a few items. 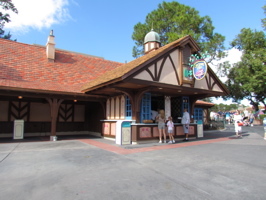 Video #1 – Cheshire Cafe in the Magic Kingdom, Formerly Enchanted Grove 11/13/11 Walt Disney World – This is the new Cheshire Cafe in Fantasyland at Walt Disney World’s Magic Kingdom. 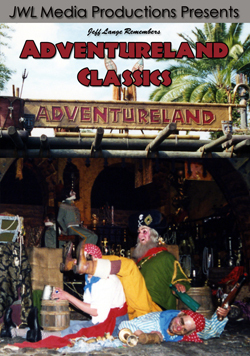 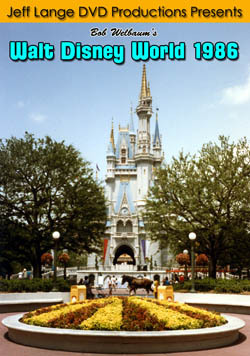 It was formerly the Enchanted Grove. 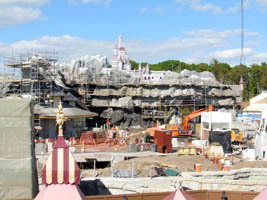 Beast’s Castle rises above Fantasyland as snowcapped mountains surround it (below, left) plus some new larger trees have been added in front of the area. 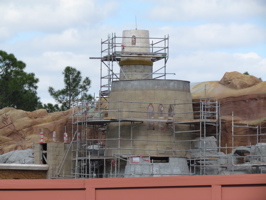 Bon Jour Village Gifts can be seen over the wall taking more shape each week (below, right). 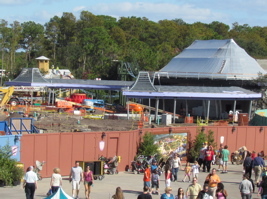 At the Little Mermaid: Ariel’s Undersea Adventure show building (below, left), the bridge can more easily be seen (below, right). 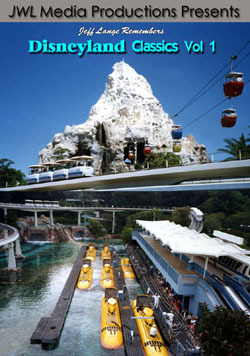 We rode Dumbo the Flying Elephant to get a view from the air. 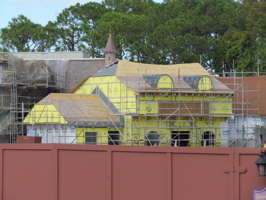 Beast’s Castle looks much smaller when you see it above the Be Our Guest Restaurant (below, right). 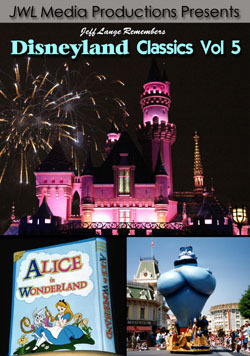 The Dumbo queue has progressed quite a bit since our last visit, it is set to open early next year (below, right). 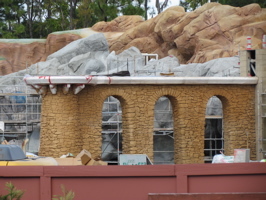 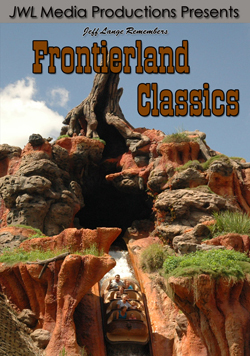 Video #2 – Fantasyland Construction from Dumbo, Railroad 11/13/11 Beasts Castle, Mermaid, Dumbo’s Circus – This is our latest Fantasyland coverage – including from Dumbo and WDW Railroad, but also video shot from ground level. 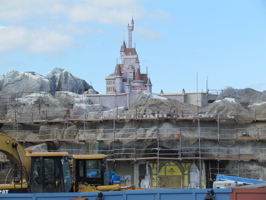 Some new larger tree have been added to the Beasts Castle area plus the mountain are now snow capped. 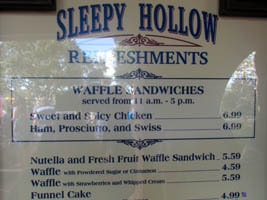 We took a group of 20 or so friends to Sleepy Hollow Refreshments, where we tried the new Waffle Sandwiches (below, left). 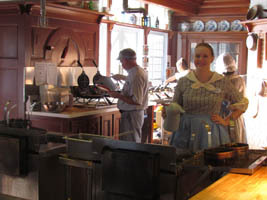 A Cast Member smiles while making the waffles (below, right). 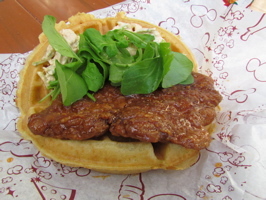 I ordered the Sweet and Spicy Chicken Waffle Sandwich, which also came with cole slaw inside (below, left). 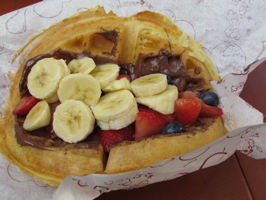 Denise ordered the Nutella and Fresh Fruit Waffle Sandwich, which was full of banana and strawberry pieces (below, right). 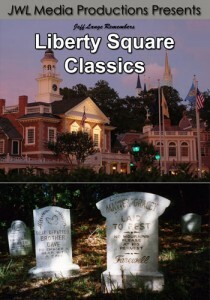 Both were great! 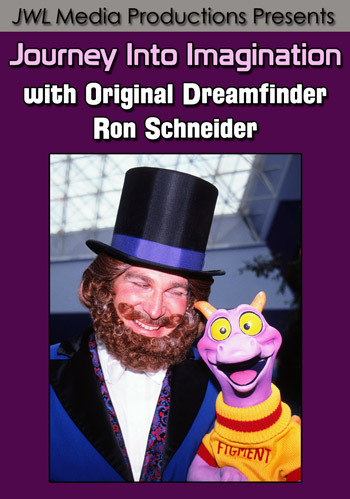 I preferred my sandwich, and Denise preferred hers. 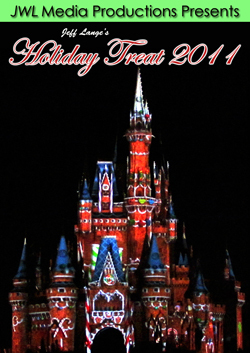 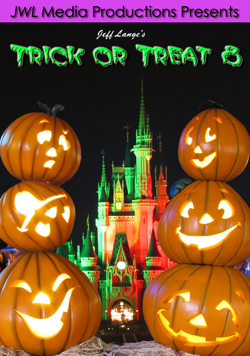 We were told the waffle sandwiches were brought in for Halloween, but are being extended at least through the Christmas holidays. 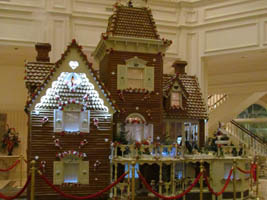 The Grand Floridian Gingerbread House (below left and right) was set to open this morning! 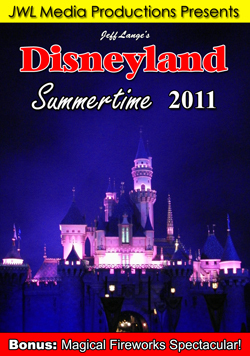 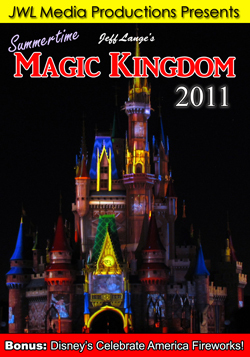 We were there last night, hours before it’s 2011 debut. 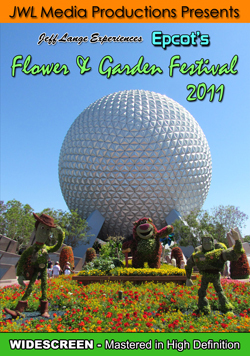 Denise noticed some small changes to the display, we’ll be photographing and recording it again soon while open! 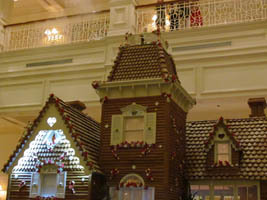 Video #3 – Grand Floridian Gingerbread House Preview 11/13/11 Christmas at Walt Disney World – The Grand Floridian Gingerbread House was set to open this morning, we stopped by last night to take a look at it. 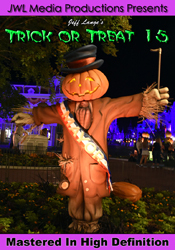 We’ll be back soon for full video of it open!